I started to think about the relationship between text and image, and in particular the relationship that takes place in Die Zeit newspaper with Gerhard Richter and the writer. After talking about collaboration in last weeks activities, I stated to think that maybe my current images would work better when placed along side some poetic text of some kind. To see how this artistic collaboration would work in the future, I did some research into how photographs and text sit side by side from the perspective of other collabs and more importantly the methodology of their approach to making these picture/poem relationships. Meanjin, A., Meanjin, C., Payment, C., Involved, G., Touch, G., Conduct, B., Edition, C. and Editions, P. (2018). The Art of Collaboration — Poetry and Photography. 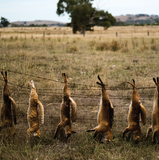 [online] Meanjin. Available at: https://meanjin.com.au/essays/the-art-of-collaboration-poetry-and-photography/ [Accessed 21 Jun. 2018].